With many things in life, less is more — and that's certainly true when it comes down to your wallet. You don't need an ultra-thick leather wallet that will only add bulk to your back pocket: instead, carry your essentials in style with this Dash 4.0 RFID-Blocking Wallet. Don't let its minimalist exterior fool you: this sleek wallet can do a whole lot more than what just the bare eye can see. It includes three utility compartments, with enough room to comfortably hold and organize up to 15 cards. Plus, the handy RFID technology protects your credit card data from any passerby who wants to scan your personal information for their own nefarious usage. Access what you need with ease thanks to the two quickdraw card pockets and cash slot — plus, the durable construction made with Saffiano canvas makes it the perfect wallet to take with you on everything from hikes to adventures across the world. And you can do it without worrying about credit card theft, too. Slip this wallet into your back pocket and you're ready to go (without any of the added weight) — it also makes the perfect utilitarian gift. 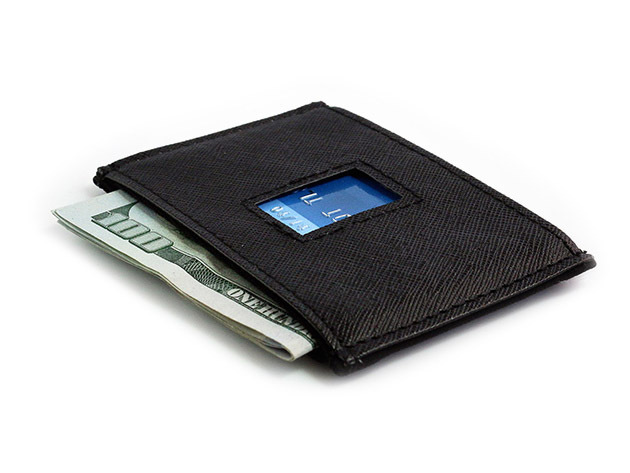 Usually, this Dash 4.0 RFID-Blocking Wallet is $24, but you can get it here for $19.99.